They've always looked good together. 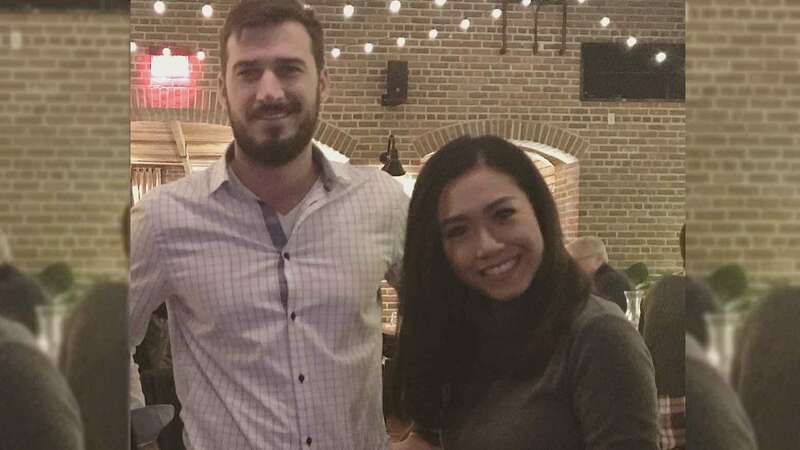 On February 9, 2018, theater actress and singer Rachelle Ann Go posted on her Instagram account her first ever photo with Martin Spies, her fiancé. The post, which shows Rachelle and Martin standing at an arm's length from each other, is not only reminiscent of one of their firsts in their relationship. It also tells the story of how they met. In her caption, Rachelle wrote, "Feb. 9, 2017 was our first ever photo! Look how awkward and chubby we were! @spiesmj and I were set up by a common friend, @arlenejoyb! She made it look like we were all hanging out but in reality, she had this mission! Now, Martin and I are engaged. Thank you, Arlene, for being part of our journey! Missing you, @spiesmj! Long distance is not fun hahahaha! See you soon, my love!" Martin, 30, is currently based in New York City, while Rachelle is working on the West End production of the hit musical Hamilton in London. In March 2017, Martin first appeared on one of Rachelle's Instagram posts, where they're beside each other in a group photo. In April of the same year, Rachelle posted a photo of just the two of them, without a caption, in front of the Richard Rodgers Theatre in New York City, creating speculations of a blossoming relationship. In September 2017, Rachelle and Martin got engaged. There are no details yet on the date and venue of the wedding, but Rachelle revealed in another Instagram post that they had hired Teen Barretto to be their wedding planner.